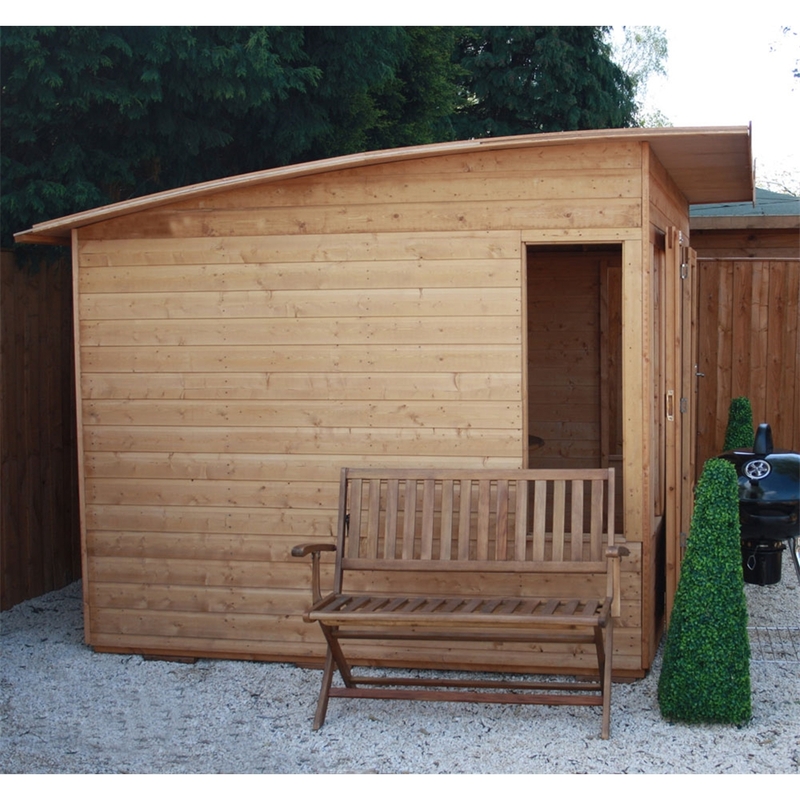 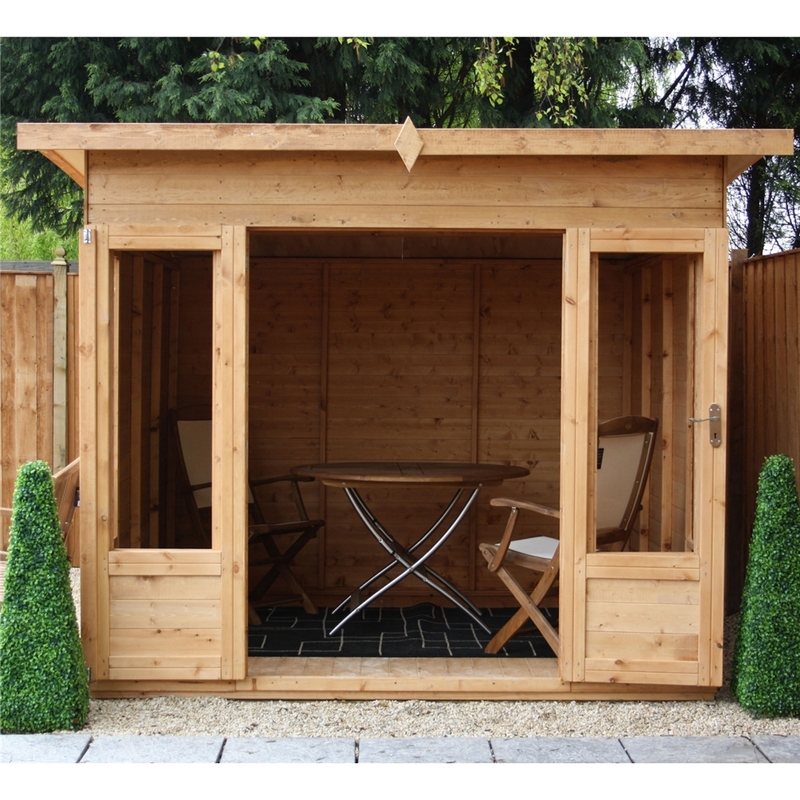 The Helios Summerhouse is a must have for any garden. 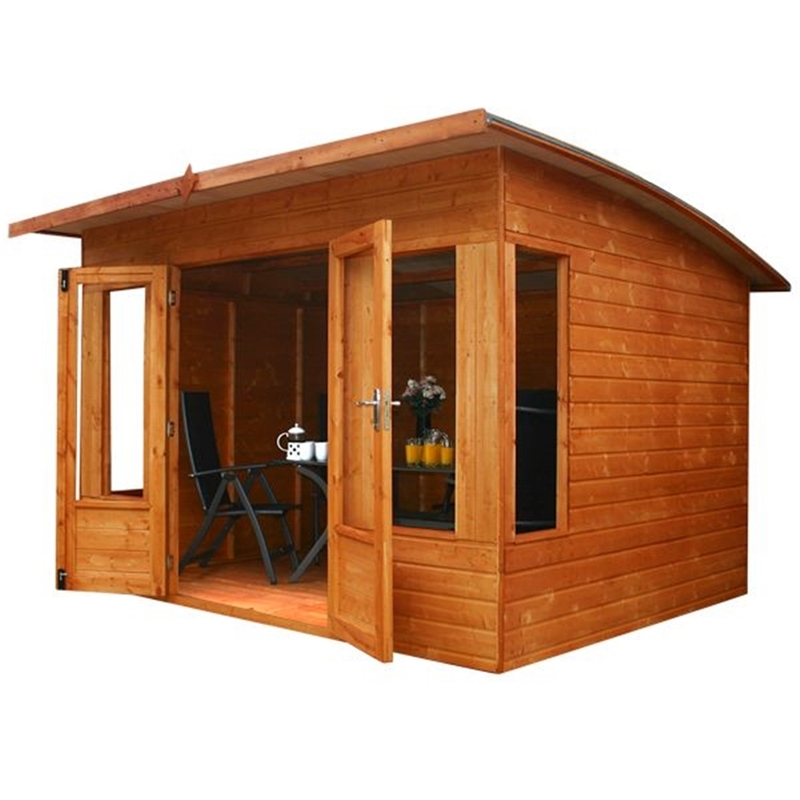 The Helios Summerhouse is supplied with Styrene Glazed Double Doors, a window either side of the doors, on window on each side, a popular contemporary style curved roof and door handle and lock to keep you Summerhouse secure. 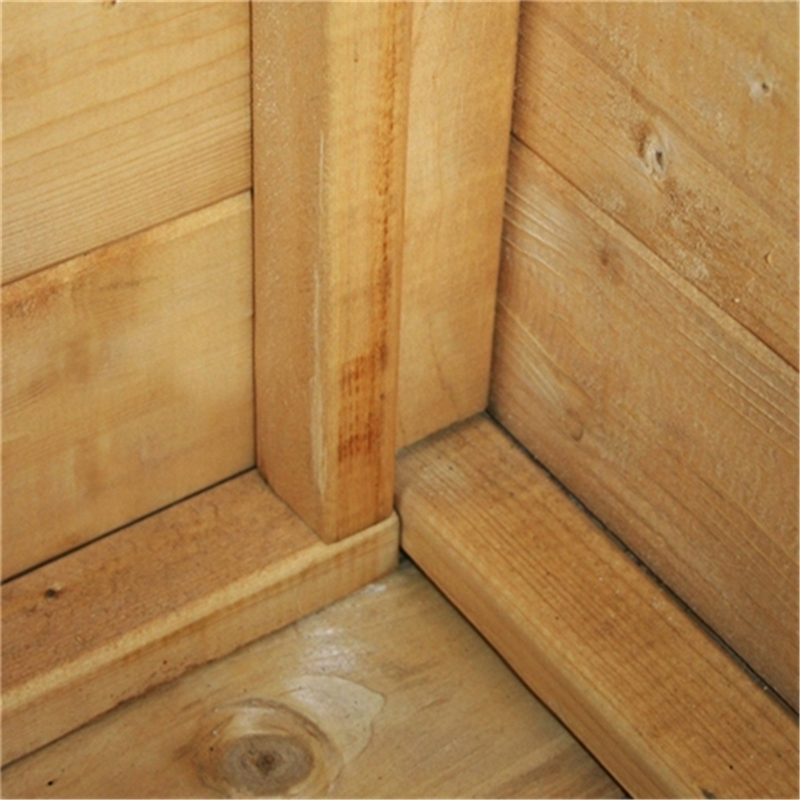 The walls, floor, and roof are constructed from Tongue and Groove. 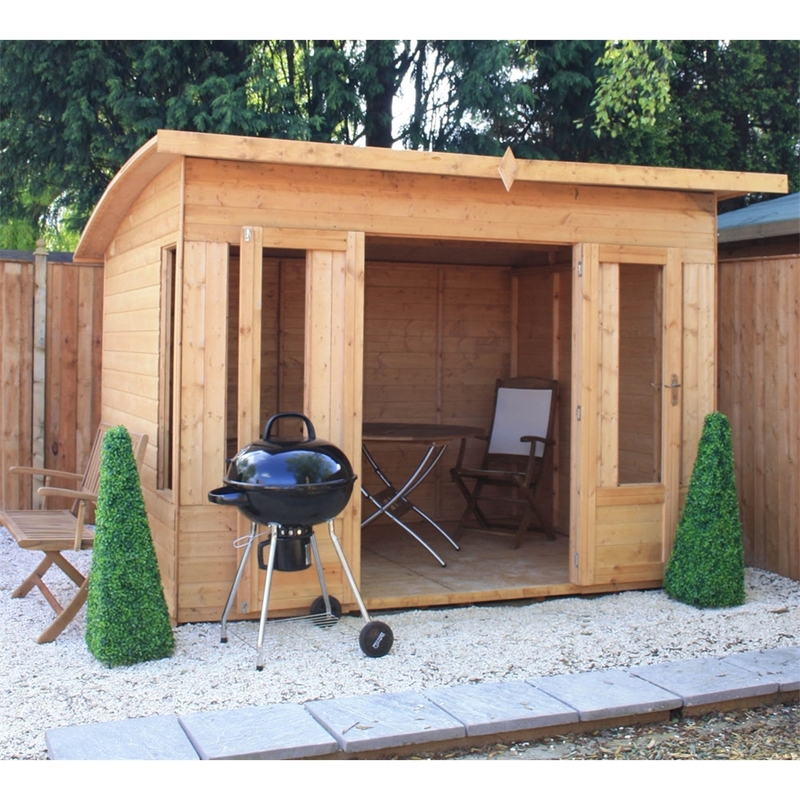 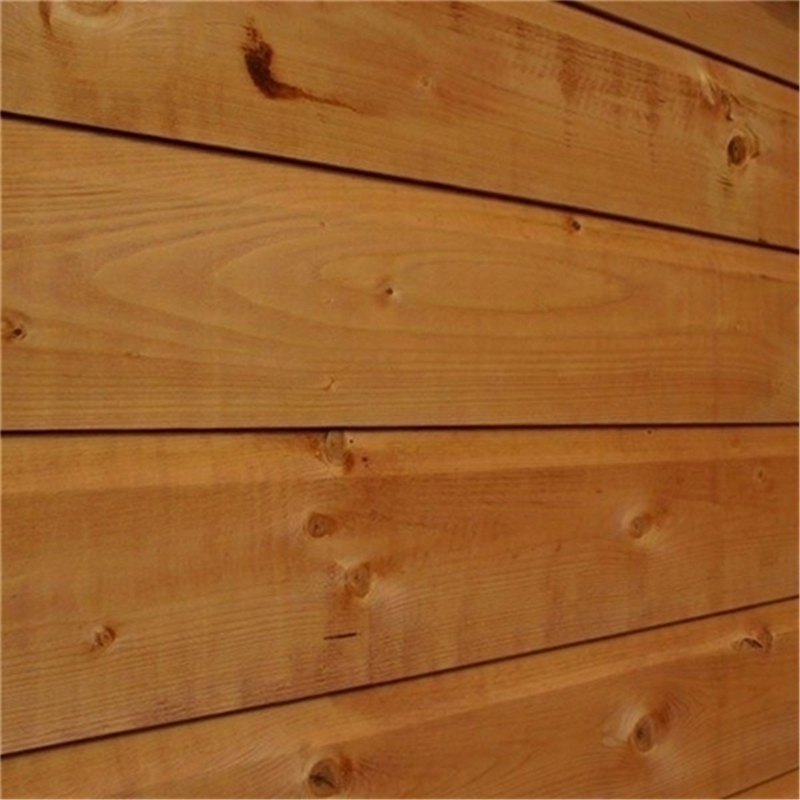 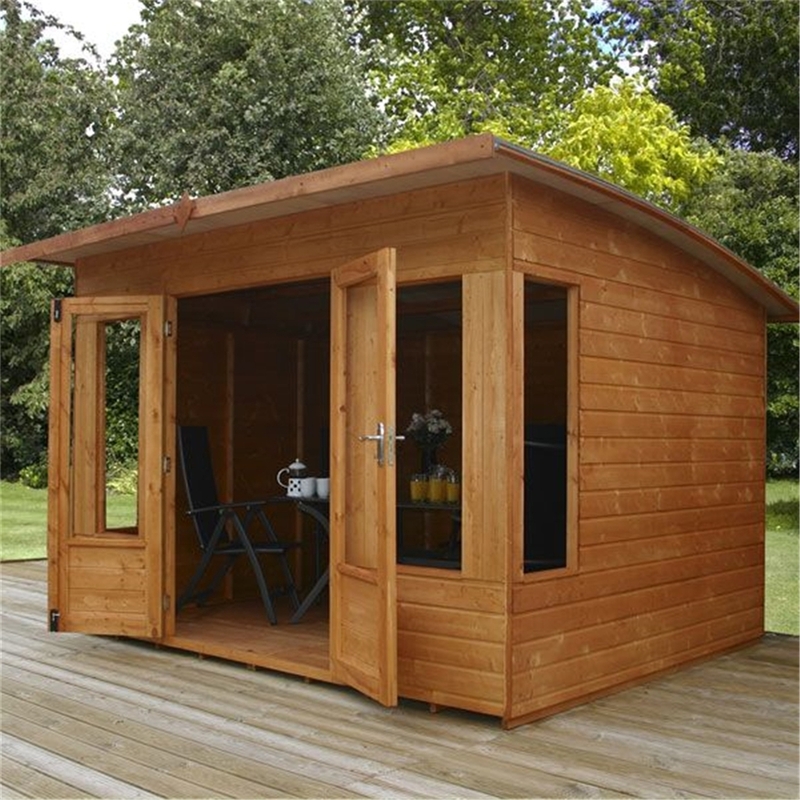 The summerhouse is constructed from high quality tongue and groove shiplap cladding which is supplied with a free factory basecoat. 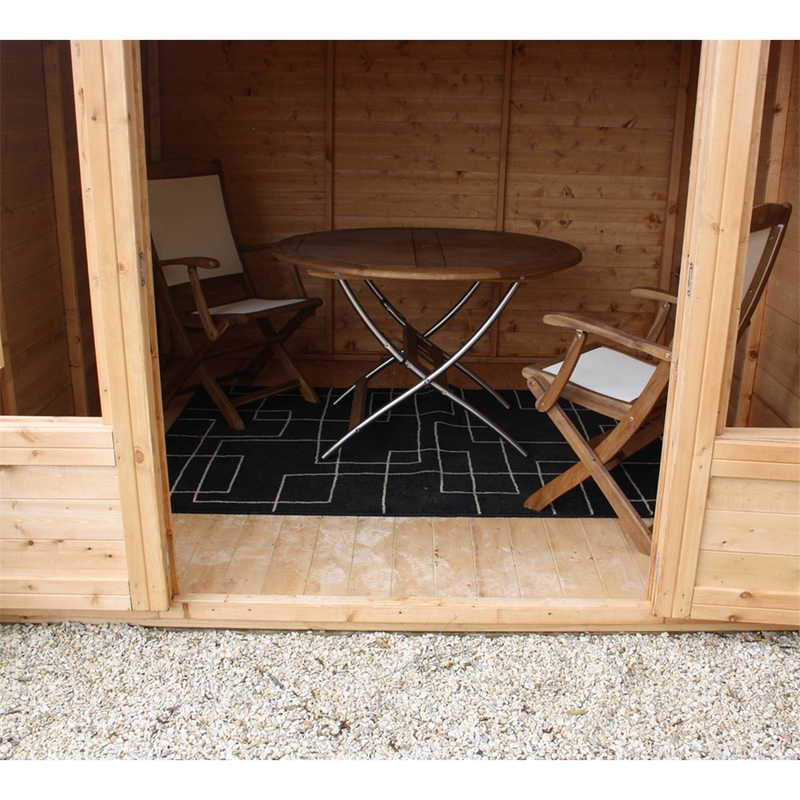 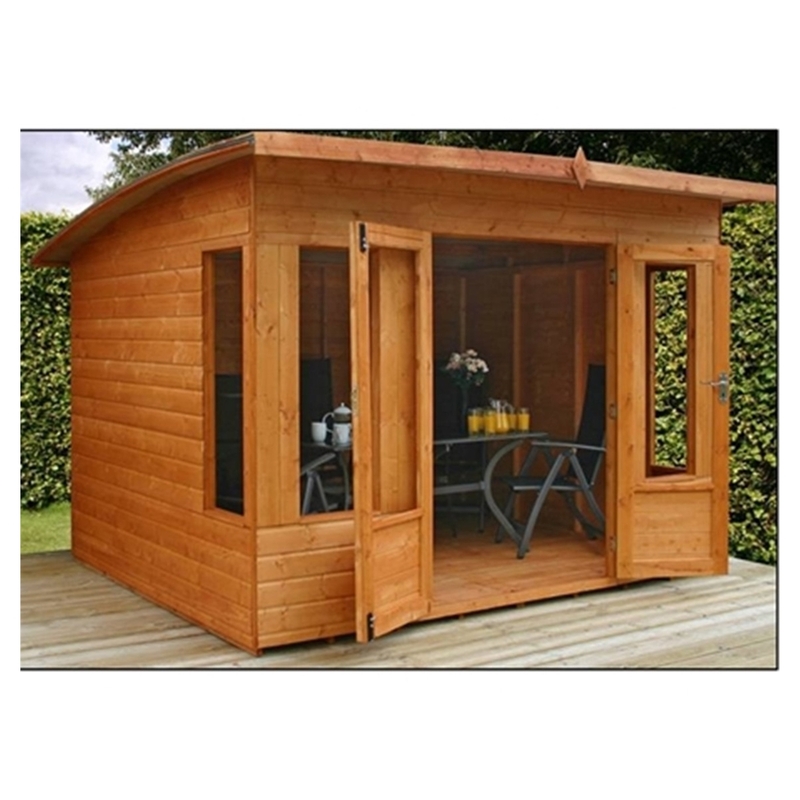 We recommend you treat the Summerhouse during construction with a high quality preservative for maximum durability.